Are you curious about ‘coffee’ lingerie? Here you go, on 26th April sloggi walk the talk by showcasing models catwalk in ‘coffee’ lingerie at Malaysia First Mobile Fashion Runway. This Spring, sloggi will launch ‘Think Green’ it’s the same strong commitment but with a whole new range of products and designs. 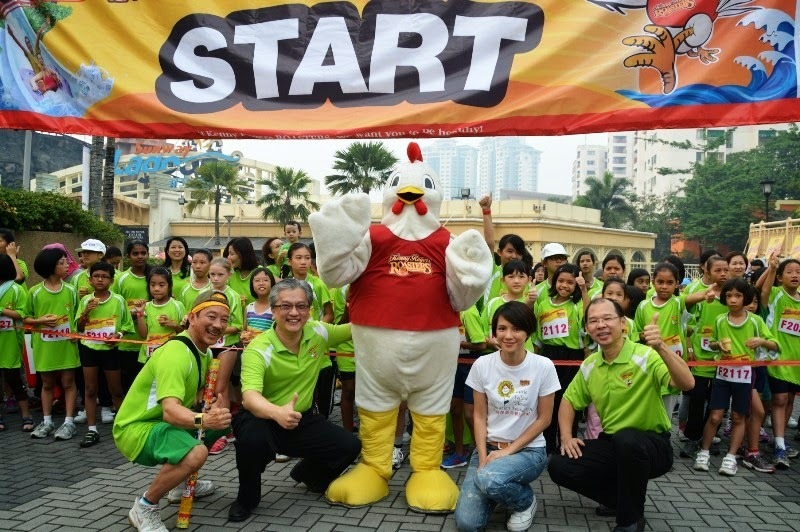 If you haven’t been working out enough, it’s time to change into your running attires and contribute back to the community at the same time by joining the annual ROASTERS Chicken Run (RCR) organized by Kenny Rogers ROASTERS (KRR) at Sunway Lagoon on the 18th of May 2014 from 7.00am onwards. Hey! I prefer to use compact camera than the bulky and heavy DSLR. I like it because it’s light, small and handy but not all compact cameras take good quality pictures. Recently I have a chance to review the newly launched Samsung NX Mini Smart Camera. This is the slimmest (depth 22.5mm) and lightest (weight 158g) interchangeable lens camera till today. Awesome! Last Saturday was my first attempt playing and using the NX Mini Smart Camera during the Photo Marathon Challenge. Hello! do you still remember I blogged about Monki Coming To Malaysia last month. Awesome! finally Monki KL Nu Sentral will be officially open to the public by 30th April 11am morning. I attended Monki’s KL Preview Party @ Nu Sentral tonight, this is Monki First Store in Malaysia and let’s hope there will be many more Monki Stores on the way. It was a fun and great to meet so many friends and happening people there. Wow! With 65 years of history and after 11 years operating in Malaysia, Wacoal finally decided to open its first boutique in Malaysia. We usually find Wacoal lingerie in most of the major departmental stores. Wacoal First Malaysia Boutique officially opened on 19 April 2014 at fahrenheit88, Kuala Lumpur. Hey! Have you ever misplaced your glasses? You spend so much time looking for your glasses and feeling frustrated? If yes, please continue to read on because with CEO.V Eyewear You'll Never Lose Your Glasses Again. This could be a perfect solution for you. I discovered the eyewear brand CEO Vision (CEO.V) features a patented system that allows the glasses to be worn around the neck without the need for a cord or chain. CEO.V eyewear never sacrifice practicality for fashion. Hey! 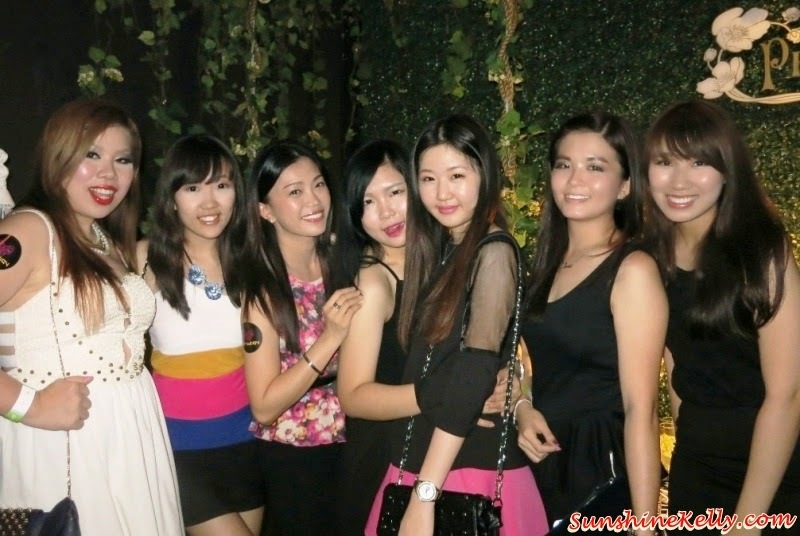 Clubbing kaki last week I was at Prodigy KL Redefine Launch, are you there too? Because I saw many familiar faces and the launch party was awesome. Prodigy KL Club, the new and Latest Nightlife and Clubbing Destination in Kuala Lumpur. 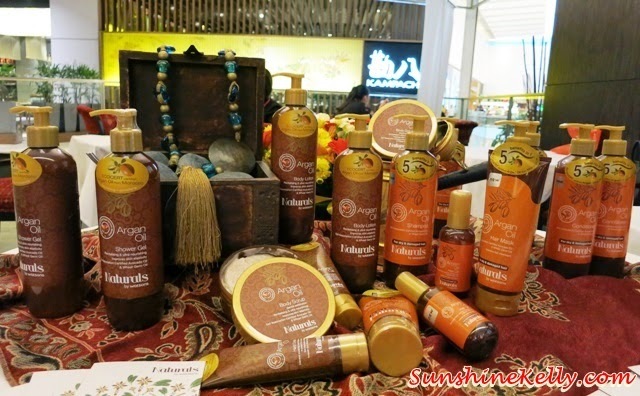 Last Saturday, I was at 1 Utama Shopping Centre for their Fashion Hues 2014 Up Close & Fashionable showcases. VOIR, Elle and Melissa models strutted its latest Spring Summer 2014 Collection in style. Have you heard of or tried the LC Derma Lipo Stem Cell Skincare range. 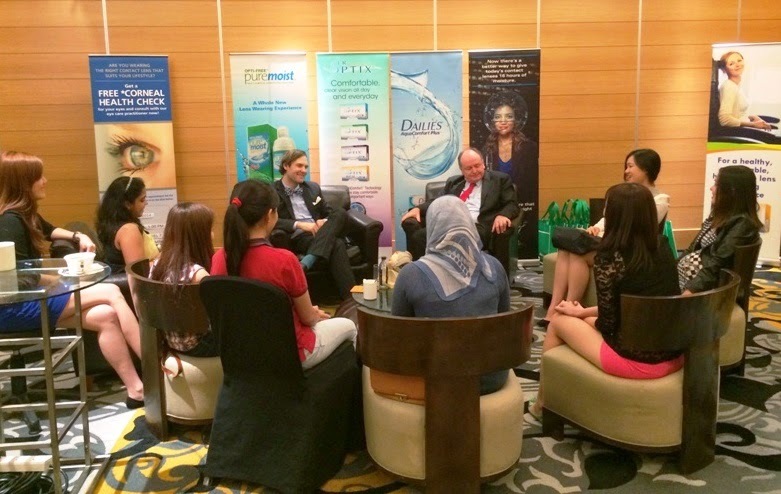 I was invited by HiShop to attend the LC Derma Skincare Workshop at Aloft Hotel, Kuala Lumpur. The word LC Derma means Liposome Cosmeceutical Skin; whereby L is Liposome and C is Cosmeceutical. Skin is not something that can be replaced. The first step to beautiful skin is taking care of it. In today's fast-paced world, where women are dealing with daily stress, juggling work with personal life, and the ravages of pollution, many are looking for fast and effective solutions to look good and feel confident. Well, we think we are doing enough for our skin? Think again, especially if you’re a wash, tone, and moisturise type. With our skin constantly exposed to humid weather and external aggressions, it pays to go the extra mile when it comes to your skincare routine. 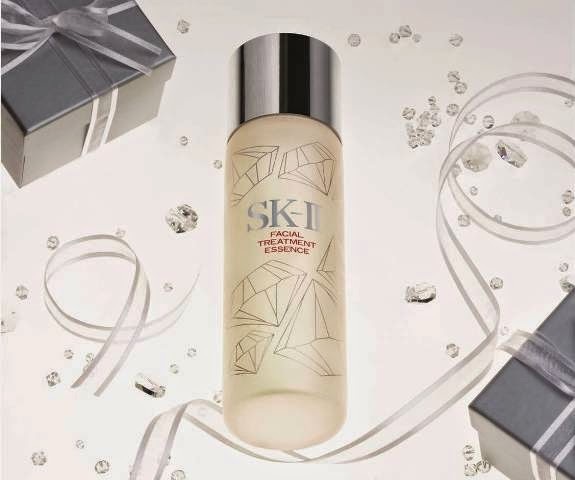 A celebration of crystal clear skin with the SK-II limited edition facial treatment essence for her. In this latest rendition of SK-II’s iconic Facial Treatment Essence bottle, the unparalleled perfection of an iconic crystal cut design is wrapped in luminous white – the colour of purity – in homage to the crystal precision and craftsmanship behind SK-II. Well, most of us will be busy hunting for Mother’s Day gifts this weekend. Here I have one more idea or option for you. Perhaps your mom will like this. Few weeks ago I tried and tested the latest Cellnique Mother’s Day Hydratante Set. Let see read what I think about this set, does it suitable for my skin and my mother’s skin. Godersi la bella vita! enjoy the good life in Italian. 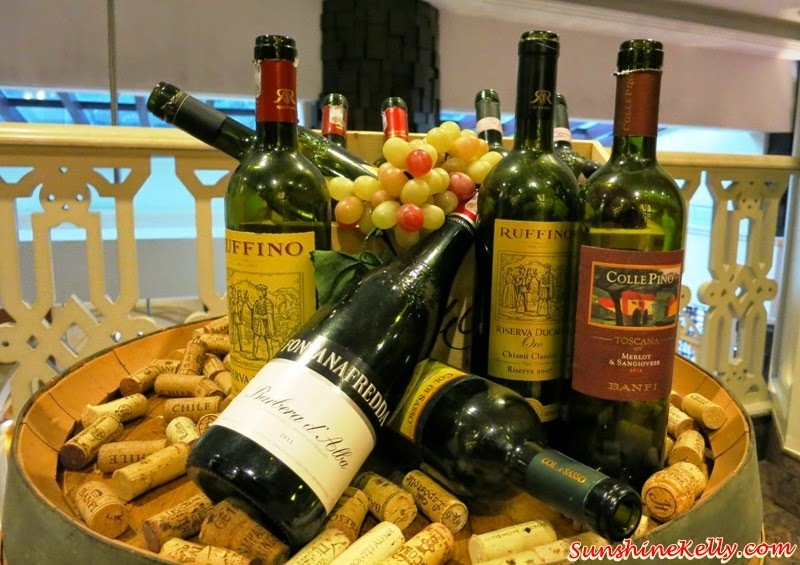 What is life without good food, fine wine and of course good companion to dine with. So let’s start our Italian Dining Experience: Santa Margherita Wine Dinner @ Villa Danieli. Be ready to be wowed by authentic fine Italian delights carefully paired with hand-picked Santa Margherita wines to bring out the best flavours in every dish served. Hello! As you know time is running out my movie passes giveaway for A Case of You Movie Premier ended yesterday and tonight I published the winners list. Hey! Now days we see more and more people are wearing sportswear as part of their daily outfit. That is so cool! Making you looks younger and energetic plus of course it’s comfortable. Well, this is part and parcel of cultivating active lifestyle. A new sports fashion hub in Bukit Bintang at fahrenheit88, Kuala Lumpur; that gives you sporty shopping experience with over 20 sports brands across 10 tenants, shoppers can find a comprehensive range of specialty sports fashion, accessories and equipment from running, badminton, basketball, skateboarding, surfing, scuba diving and many more. Get ready for Sports Fashion Formula at Fahrenheit88. Mother’s Day and Teacher’s Day is coming soon I have got my gifts for both of them. How about you? 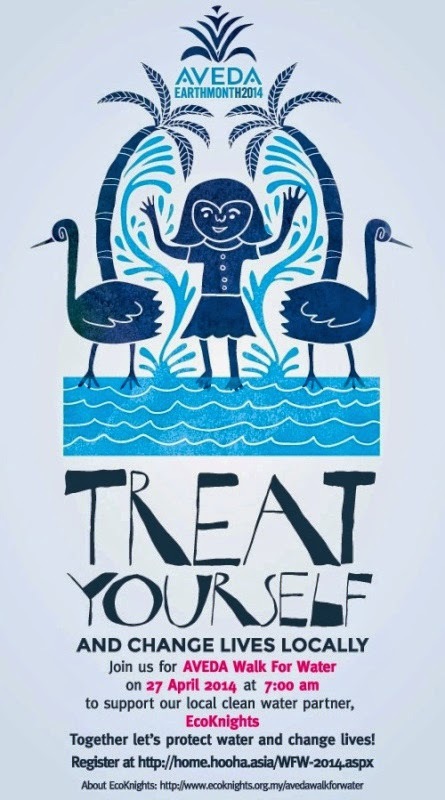 Have you get ready the gifts for your Mother and Teacher? Well, both Mother and Teachers are important in our life because they influence and inspire us in many ways. I know sometimes it hard to find a suitable or perfect gift for someone we love or care about. Do you have any idea what to buy for them? 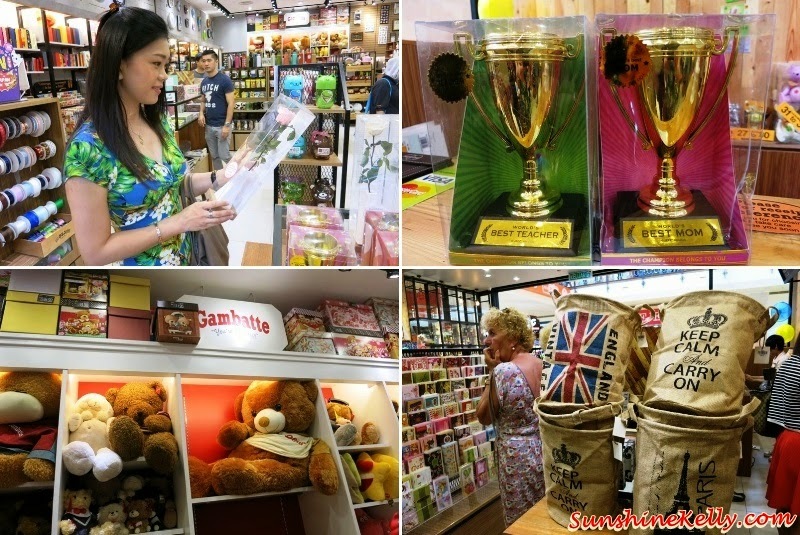 Last weekend, I was shopping and searching for gifts at S&J Gift Store at Alamanda Putrajaya. Here are some Mother's Day & Teacher's Day Gift Ideas for you. LeSportsac Spring Summer 2014 Collection fashion showcase during Pavilion Pitstop Fashion Week features four seasonal capsules of products of iconic aesthetic colours which were inspired by original Lesportsac styling, a subtle wink while feeing modern and fresh. Think Green, Think Sloggi! Come and join sloggi Think Green activities this Saturday 26th April from 10am till 12pm at The Central Park, Desa Park City. Pledge your eco commitments #sloggithinkgreenMY and you might walk away with 2N1D Sekeping Serendah Retreat staycation. sloggi as an eco-advocate is reinforcing its environmental commitment " Think Green" campaign by showcasing its eco-friendly collection with a first Malaysia Fashion Show on a "Mobile" Runway. Malaysia is the first Asian Country chosen to host this 27-years old premier Australia Biggest Automotive Event, Summer Nationals or SummerNats. 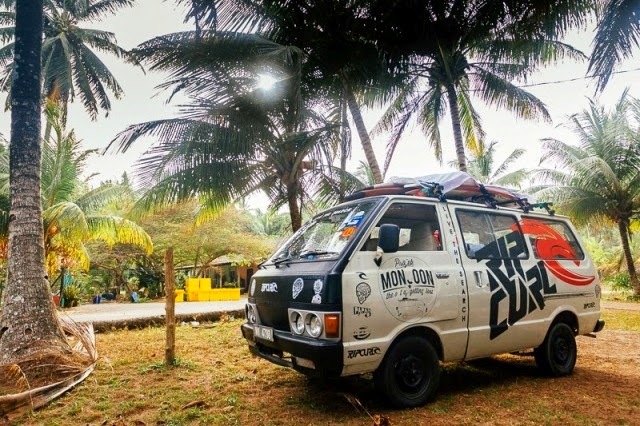 For motor heads, the hosting of the very first SummerNats Malaysia 2014 is going to be the start of a huge annual pilgrimage for custom and collectible car and motorcycle lovers. Gucci Guilty Stud is a bottle of rock attitude, don’t you think so? I had a bottle of Gucci Guilty Stud Limited Edition Pour Femme. To celebrate the House’s bond with glamorous rock attitude, Gucci has created a limited edition of Gucci Guilty, its iconic fragrance the Stud Limited Edition. We know Gucci Guilty’s sensual hero and heroine as audacious, rebellious thrill seekers - trailblazers whi indulge in passion and dangerous seduction. Sounds interesting! Have you check out the Uniqlo Ines de la Fressange Collection at UNIQLO Fahrenheit88 outlet? I have 2 of her shirt, one is denim and another one is the cotton shirt both are very smart, elegance, easy to mix and match plus the most important is comfortable. Recently UNIQLO launched of a special collection created in collaboration with French fashion icon Ines de La Fressange. Recently Shiseido Professional introduced their latest fashion styles, hairstyles and makeup designs in their Spring Summer 2014 seasonal trends. Mr. Yoshiyuki Takahashi from Japan was here in Malaysia to present and demo the Shiseido Professional Color Me Knot Spring Summer 2014 Trend. For this season, simplicity took over with white and subtle outfits taking over the runway. Shiseido Professional also unveiled its latest styling-hero, the Stage Works Spiky Booster. Hi Shopaholic! 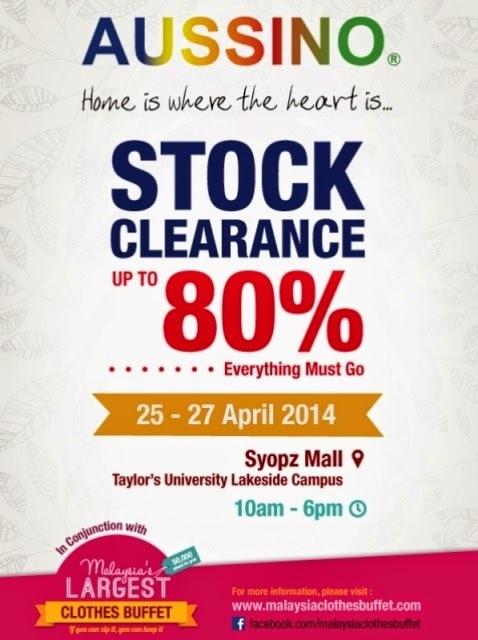 If you are going to Malaysia Largest Clothes Buffet 2014 this week, why not walk over to Aussino Stock Clearance up to 80% at Syopz Mall. This sale it’s at the same venue, also same date and time. So no sweat you can kill two birds in one stone. Hello Fashionista! What is in and what is out for this season? This Spring Summer 2014 season brings pastel, floral and bright colours back into our life again. Fashion week alert and report, 1 Utama Shopping Centre is now bringing back Spring Summer Fashion Hues 2014. Now you can update and upgrade your style and get close up with fashion showcases including their Style and Share contests to win cool prizes and shopping vouchers from 11th April to 27th April 2014. Radley London Spring Summer 2014 collection was inspired by English country meadows. As we can see from sweet smelling wild flowers, to colourful flying finches and a lazy bumble bee or two. Radley London passion for premium leathers and expert craftsmanship remain at the heart of the collection. Each bag is a piece of art, whether it features hand embossing, painting, stitching or appliqué – loving attention has been paid to every last detail. Maybelline New York announced today that model Marloes Horst is the newest face of the brand. Marloes joins a roster of prominent spokeswomen including Christy Turlington, Emily DiDonato and a host of others. The Dutch model has lit up the runway for Prada, posed for the infamous Pirelli calendar and is a Victoria’s Secret regular. 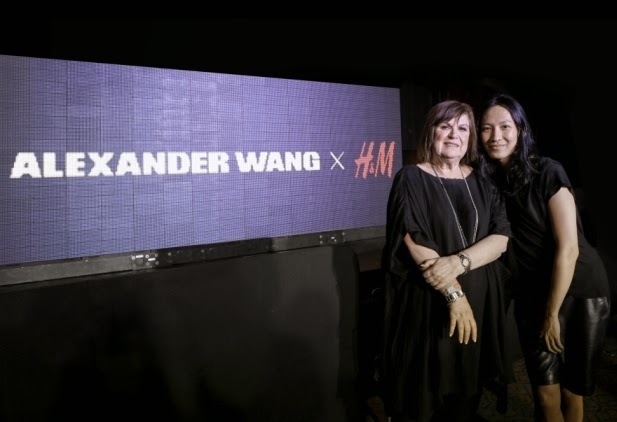 H&M announced during an event at the Coachella Music Festival, in Palm Springs, California, USA, that their next designer collaboration will be with Alexander Wang. This partnership marks the first time that an American designer teams up with H&M on the much anticipated designer collaboration. The dynamic, masculine, secret seduction for him who makes powerful choices every day. For the man who's in pursuit of success; for the man who thrives in competitive environments. 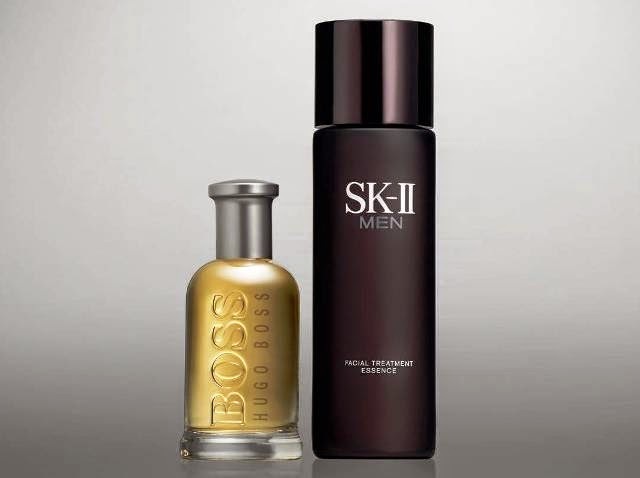 SK-II Men HUGO BOSS Essential Gift Set is the winning combination of grooming staples for dynamic and ambitious men around the world. 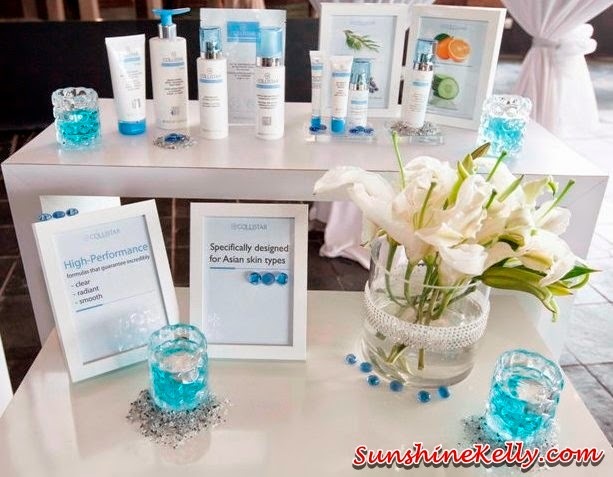 Last month Sa Sa introduced the first whitening skincare range of products specially made for Asian skin by Collistar. This whitening skincare range is specially designed for Asian skin types but also perfect for all women who want a clear, radiant and smooth complexion without blemishes or imperfections. Spring and summer are the season we go out, enjoy the nature and play in the sun. Combining bright colours with depictions of fresh air, blue skies and green hills, Flying Nomad Spring Summer 2014 collection inspires a “picnic mood” and the love for the outdoors. Flying Nomad focus on being in-trend, affordable and providing comfort, which is the upper most consideration among travelers on the go. Today is a Happy Day! Happy Friday! Happy Easter Day! Here is my quick update on the Winners of my Sekkisei Lotion Mask Pack Giveaway. I hope all the winners are happy too. Happy Easter! Any plan for this weekend? Perhaps this weekend treat yourself together with friends and families with scrumptious Easter Brunch Buffet Brunch at The Square Restaurant, Novotel KL. 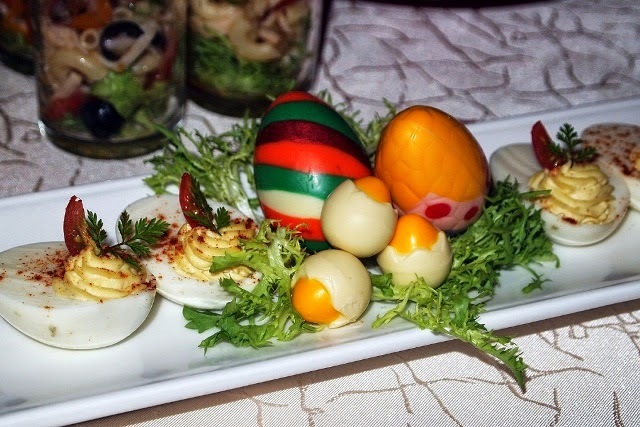 Whet your appetite with an array of appetizers such as Turkey Ham, Lychee & Kidney Beans Salad, Assorted Deviled Eggs, Chicken Ham, Macaroni & Apple Salad with Aioli, and Roasted Pumpkin Cream with Garlic Crouton. Rawr!!! Explore Your Wild Side & Let Your Instinct Take Over with Avon Instinct Eau De Parfum. 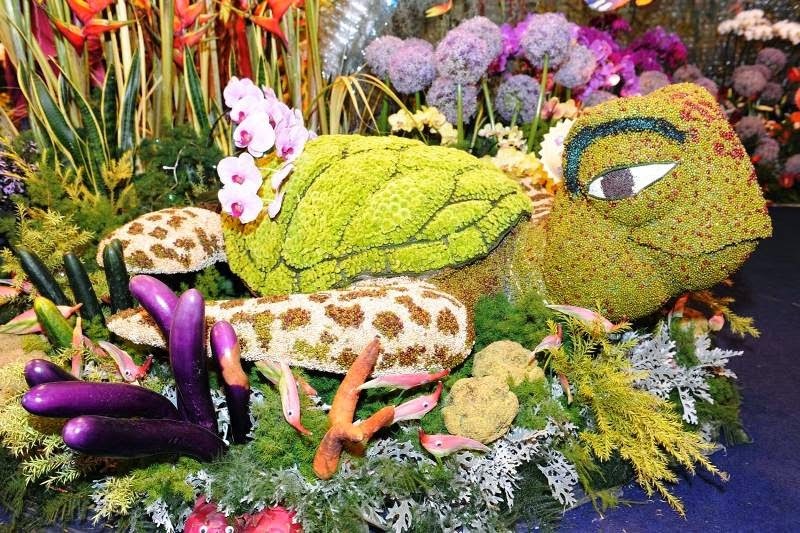 Last week Avon introduced its new range of fragrance, Instinct Eau De Parfum at Borneo Rainforest Café, Bandar Sunway, away from the busy city and traffic where the venue was the right place to bring out the wild side in anyone. It’s like summer 365 days in here Malaysia, so we will love the Levi’s Coolmax Collection For Spring 2014. This an innovative denim collection specifically constructed to combat sweltering hot weather. With Coolmax, everyone, everywhere has the opportunity to wear denim and non-denim styles year-round, regardless of the temperature. 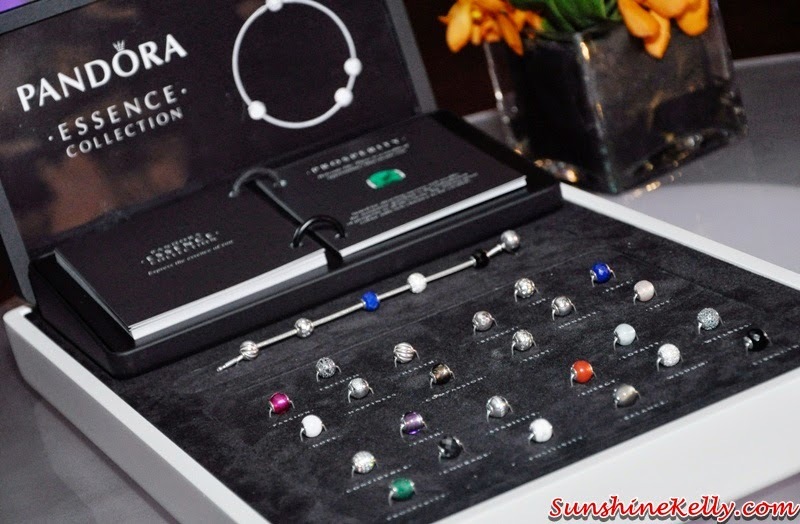 Last month I visited the latest Rosato Boutique at Starhill Gallery, Rosato is a high-end Unique Charms combination of Italian design and wise craftsmanship with precious stones, enamels and precious metals, as gold and silver. We collect our moments in the treasure chest of heart. Hi! Do you know how many chemicals we used on our body everyday? Previously I have blogged about the Toxic Chemicals We Use On Our Body, today’s chemically packed beauty products can do more harm to your skin and hair rather than restoring your beauty. Do you agree with me? Using organic or natural products in long term is better for our skin and health. Quick one! Hey today I have 20 pairs of A Case of You Movie Premier passes to Giveaway. This is a romantic comedy about online dating or meeting someone through internet. How long can you fake your identity in order to impress someone? Tell me your wish… I know you have many wishes. As a woman I can understand because I do have the same wishes as you. I wish that those lines around my eyes diminished, I wish that my skin is smoother and firmer, I wish I could look younger. Does these sound familiar to you, we have the same wishes. Perhaps Swiss line can grant our wish because it has been “reversing time since 1989” with their innovative anti-aging products. Are you ready to reverse time? Every Asian women wish to have flawless, fair and translucent skin including myself. There are so many whitening skincare in the market, I know sometimes we are frustrated when we could not find the right skincare that works well on our skin. Today I am going to share a beauty recipe to achieve translucent, hydrated and snow white skin. 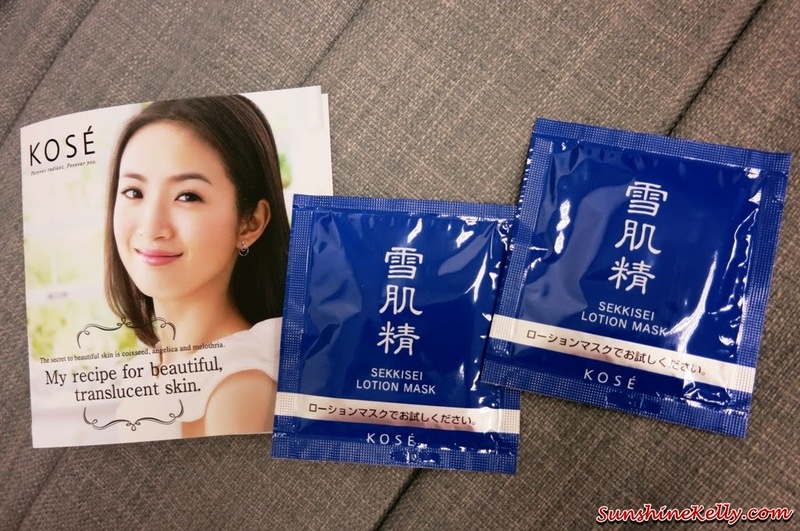 In just 10 minutes you get 10 times more hydration with SEKKISEI Lotion Mask. Brad Kahlefeldt (AUS) and Radka Vodickova (CZE) took sizzling wins at the inaugural IRONMAN 70.3 Putrajaya where 1096 individuals and 56 teams took on the 1.9km swim, 90km bike and 21.1km run in temperatures of 90°F coupled with humidity felt like 109°F at Putrajaya, Malaysia on 13th April 2014. For Kahlefeldt he was at the front of the field all day but had to run scared for most of the 21.2km. It was a different story for Vodickova after suffering two mechanical problems on the bike, she was running on frustration. Shine bright like a diamond this April. Well instead of wishing upon a star, now you can shoot for the stars and HABIB will show you how to do it? ‘Shoot for the Stars’ theme is an expression of aiming high, setting a high target, and in the context of HABIB Diamond Fest 2014. Aveda annual fundraising activity dedicated to clean water-related causes is back. This will be the second year Aveda organize the Walk for Water event in support of EcoKnight’s H2O Project (Help to Offer Safe Drinking Water to Mantanani) on the island of Mantanani (Sabah) where the funds raised will assist in delivering safe and clean drinking water to some 1,200 villagers on the island.